For patients with serious skin conditions, including skin cancer, rosacea, and soft tissue growths, dermatological care is a must. 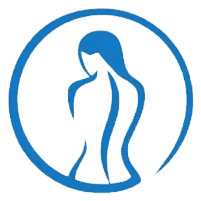 At Sterling Plastic & Reconstructive Surgery, PA in Sarasota, Florida, Dr. Mark Mathieson, provides treatment for these issues. Call the office or book an appointment online if you have a chronic or immediate skin concern that needs attention. What should I know about skin cancer? Several types of skin cancer exist. These include basal cell carcinoma, squamous cell carcinoma, and melanoma. While melanoma is the most deadly of these cancers, all require immediate care and treatment to prevent serious consequences. The best protection against skin cancer is prevention, which includes avoiding the sun at its most powerful hours, wearing sunscreen of SPF 30 or higher, and donning protective clothing and eyewear. Should you have a lesion that needs treatment, Dr. Mathieson can remove it with minimal scarring. In applicable cases, he performs excisional cancer surgery. During this procedure, Dr. Mathieson removes all of the offending lesion and sends the tissue to a qualified pathology lab for analysis. How can skin cancer and traumatic scars be repaired? If you have a large wound following skin cancer or soft tissue growth removal, you may need a complicated repair from a qualified plastic surgeon like Dr. Mathieson. He can offer skin flap and skin graft repairs to help restore a more natural look following surgery, injuries, or burns. During skin flap procedures, Dr. Mathieson acquires a section of healthy skin from a less visible area to cover a nearby wound. The flap is chosen from an area that has a similar appearance and thickness. A skin graft is used to repair a larger wound and is often best on areas such as the ears, elbows, and ankles. Like a skin flap, a donation of skin is acquired from an area that matches the area being grafted – usually from a place that’s not visible, such as the front of the thigh or behind the ear. What treatments are available for rosacea? Rosacea is a chronic skin condition that can make your skin look ruddy with visible blood vessels and pus-filled pimples. You may have flare-ups or rosacea may be visible most of the time. Rosacea commonly affects women in middle age who have fair skin. No cure for rosacea is available, but Dr. Mathieson can help with medications, prescription creams, and laser therapy or intense pulsed light therapy that helps reduce the redness of enlarged blood vessels. To learn about the comprehensive and extensive skin care surgeries and treatments available at Sterling Plastic & Reconstructive Surgery, call the office or book a consultation online.